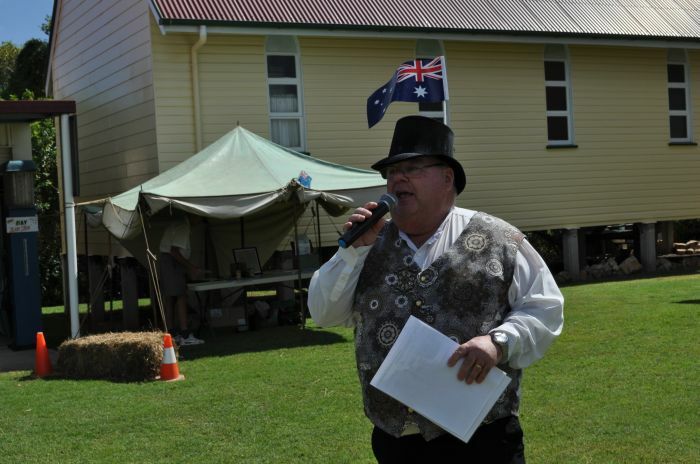 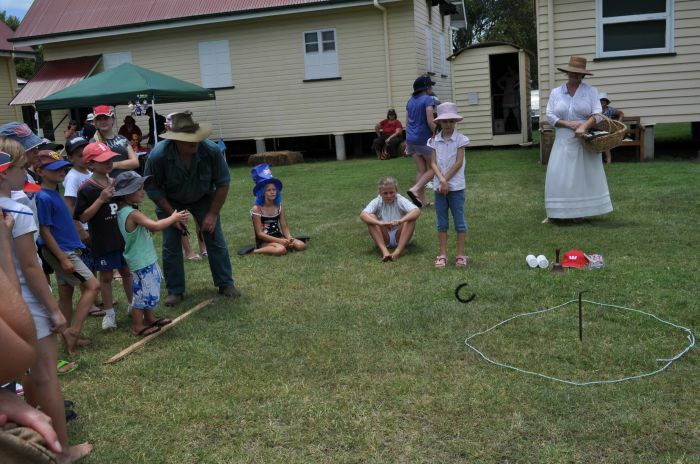 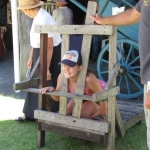 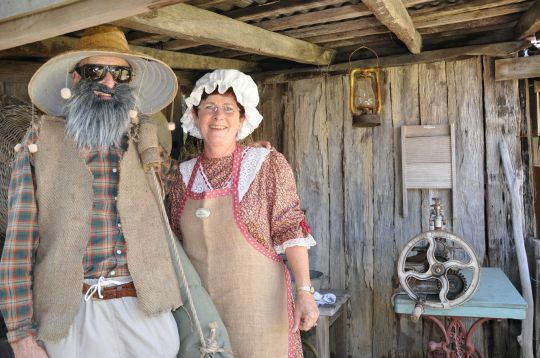 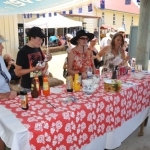 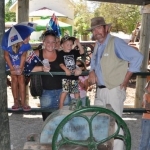 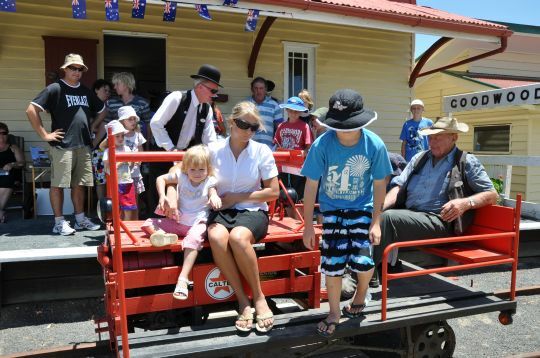 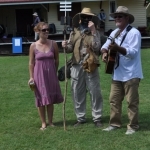 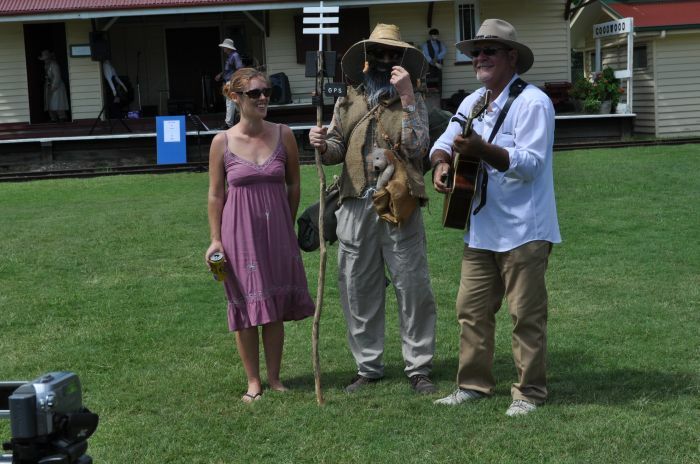 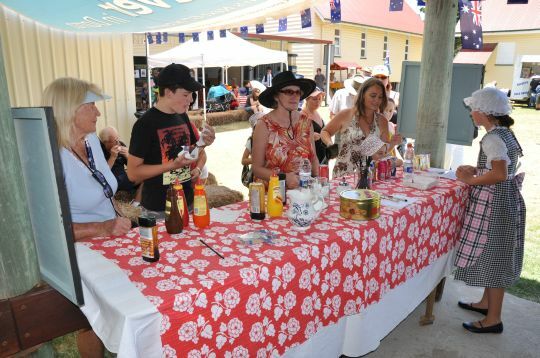 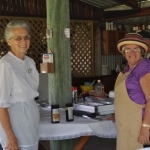 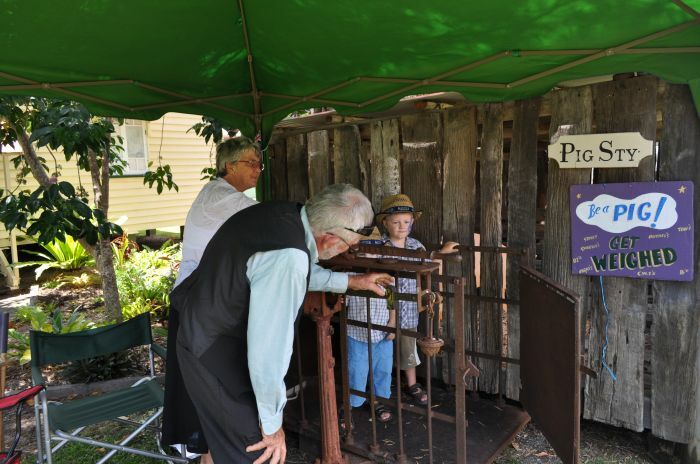 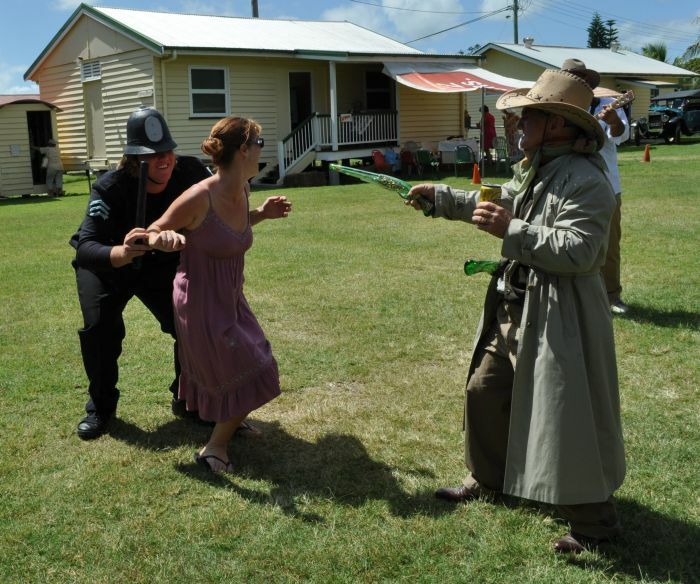 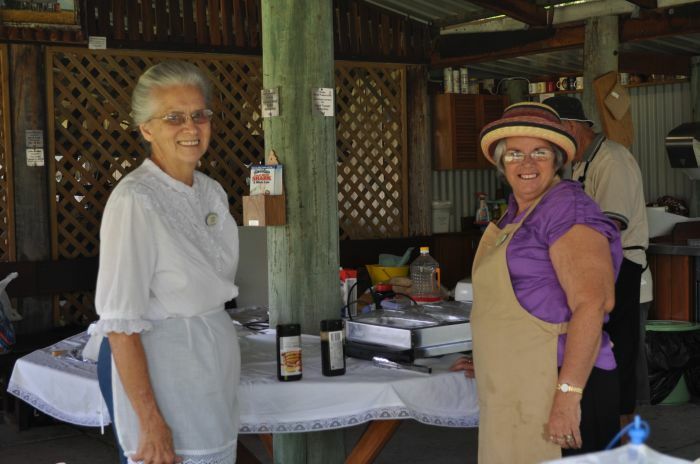 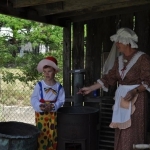 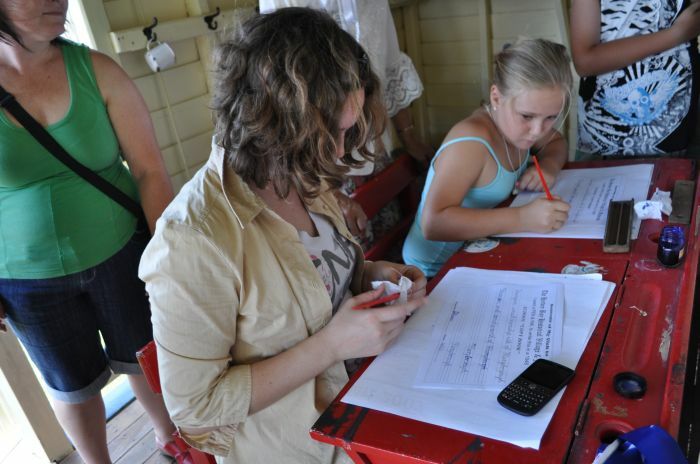 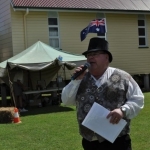 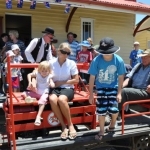 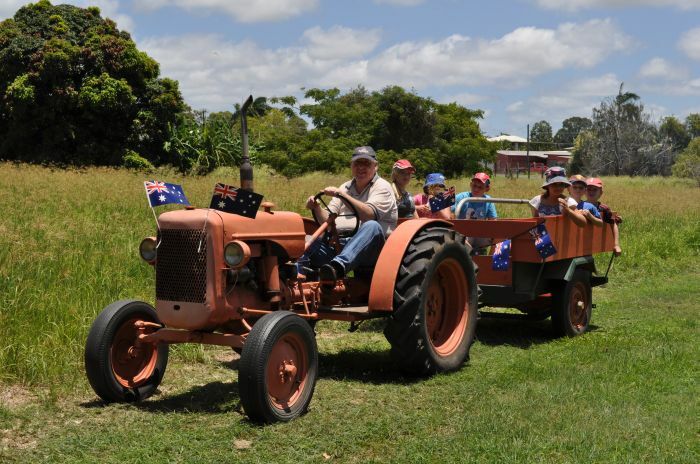 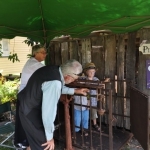 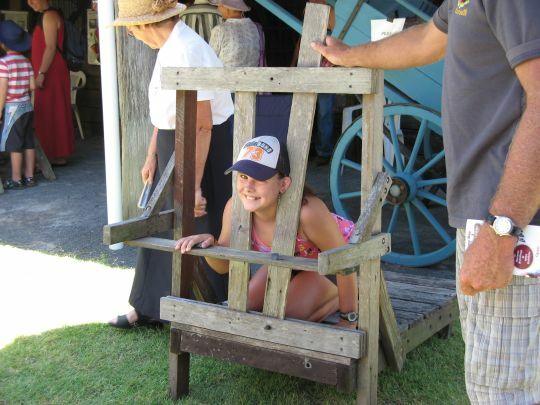 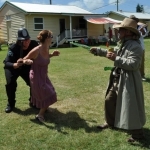 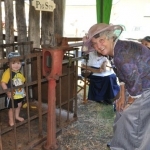 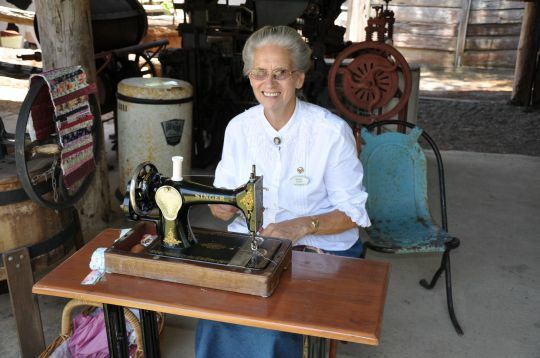 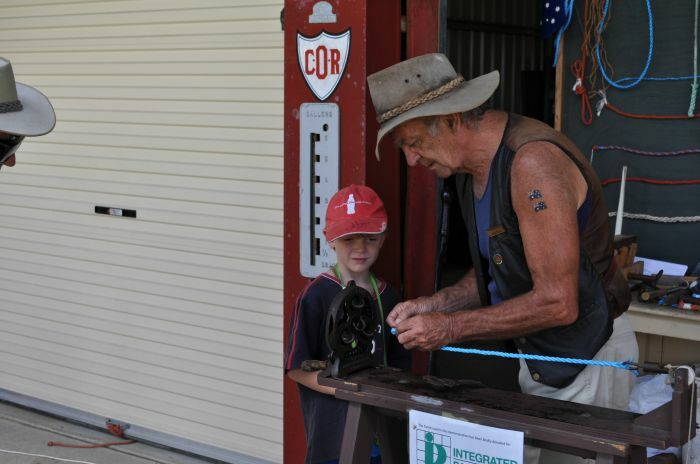 Australia Day events since 2009 have been a highlight of the Hervey Bay Historical Village & Museum. 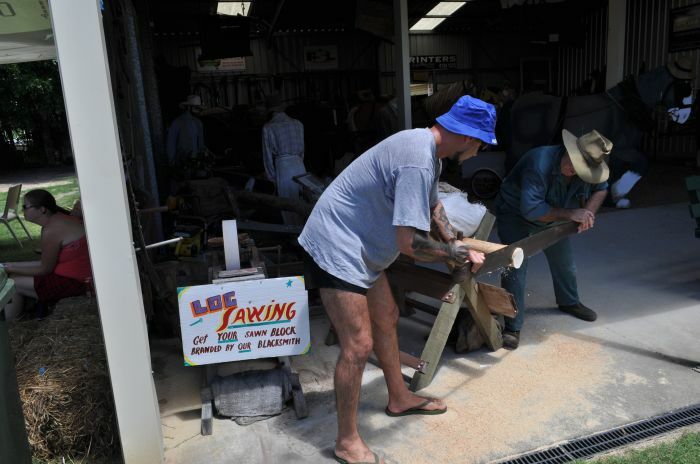 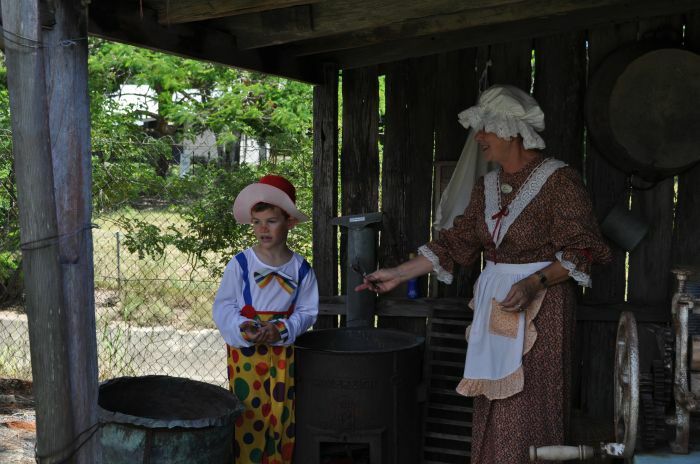 Each year we have different outside craftsmen or groups to demonstrate their crafts and skills. 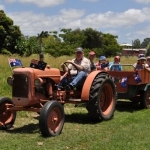 Hot rods, Vintage cars, Vintage tractors, Chainsaw woodcarver and whip cracking unicycle riders have been among the many involved with us. 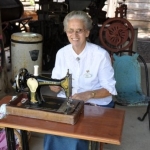 The Spinners and Weavers are regulars as are the local lacemakers. 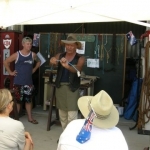 Lex Carey is a local whipmaker and regularly demonstrates his craft at our events. 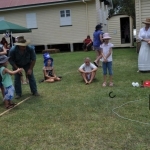 All children are given an Australian flag and we involve them in many games of yesteryear including Quoits, Stilts, Bobs, Tug o’ War and log sawing. 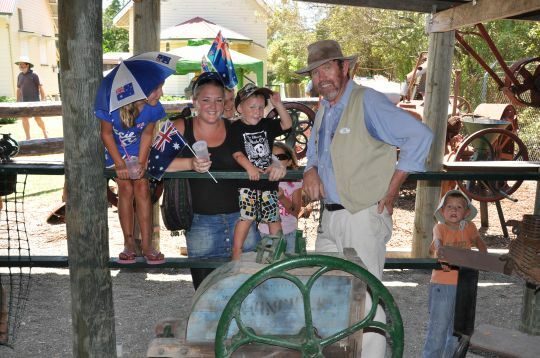 It is always a great family day with lots of free stuff for the children including tractor rides and the spinning painting device. 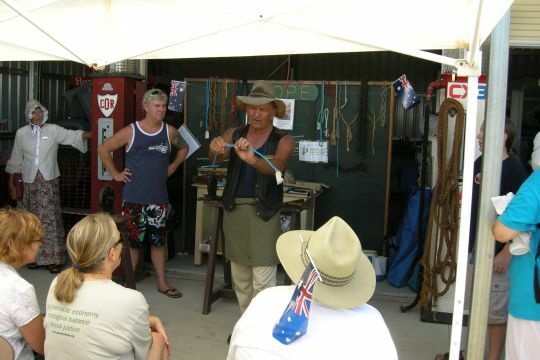 Our usual demonstrations of Blacksmithing and Rope making are done along with Corn Shelling and Woodturning. 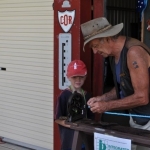 When visitors have sawn off a piece of log using the two man saw, they take it to the blacksmith to have it branded. 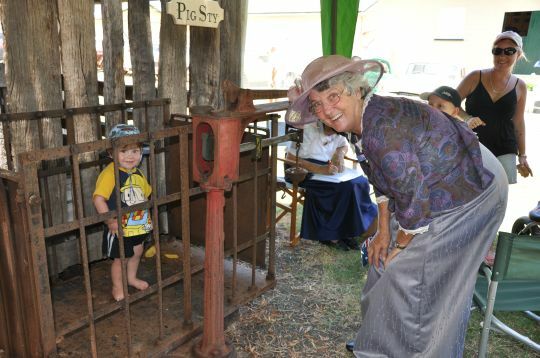 Being weighed on a vintage pig weighing machine with the results given in Stones and Pounds is quite unique. 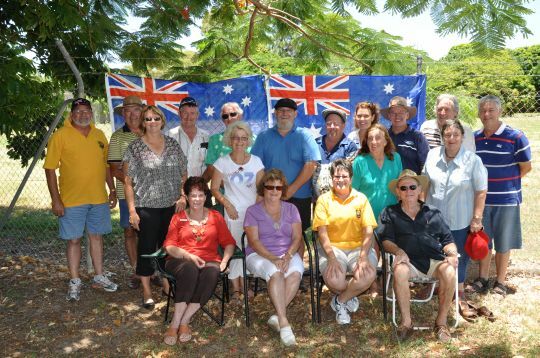 In 2015 we were awarded the Australia Day Community Event Award for our 40th Birthday event held in 2014. 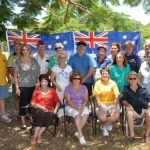 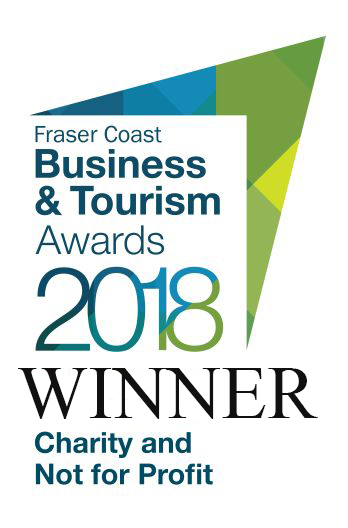 This was a great way to recognise our contribution to the community.